Hello Friends. So sorry for not posting an outfit post this week, but I promise I’ll make it up with you guys next week. 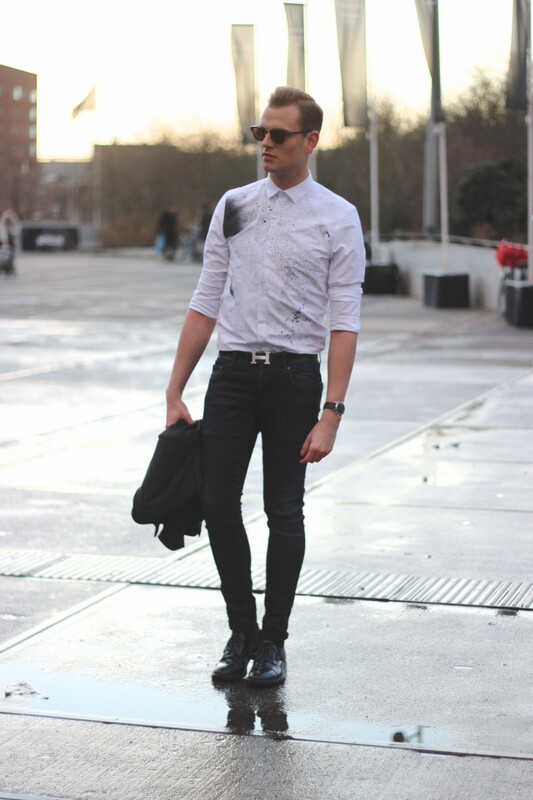 Yesterday I went to Vogue Fashion’s Night Out in Amsterdam – I think I’m gonna post my outfit next week. Anyways today I’m gonna talk about three new fragrances. 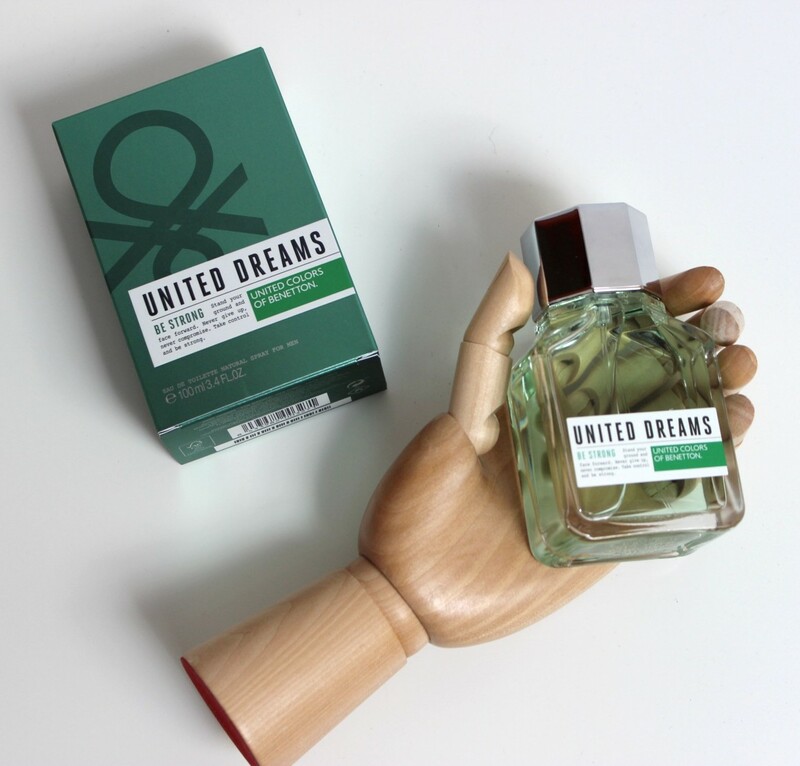 The Benetton United Dreams Men Fragrances. 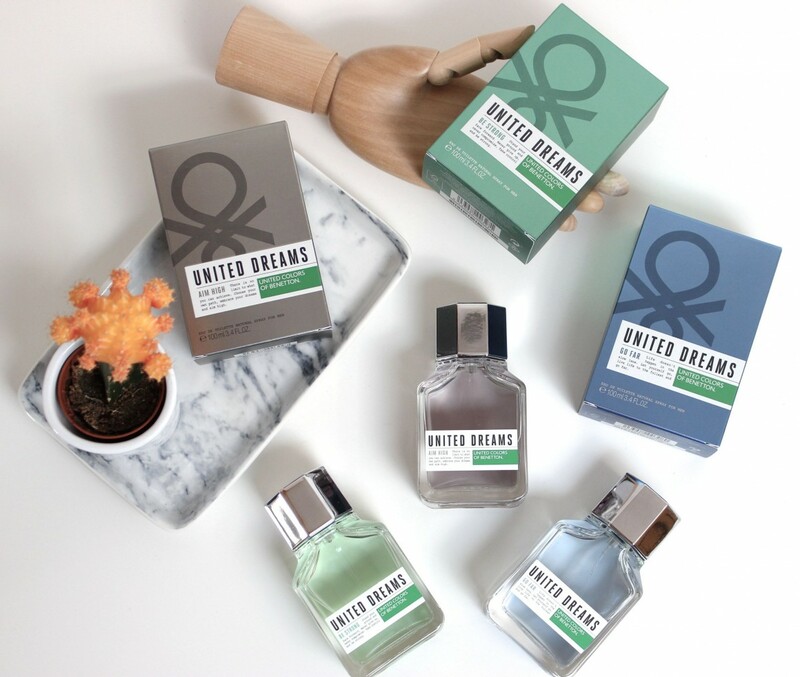 The whole meaning of these new fragrances is give you a positive message. To follow your dreams and make them come true. What I really like is that you can choose between three different scents. 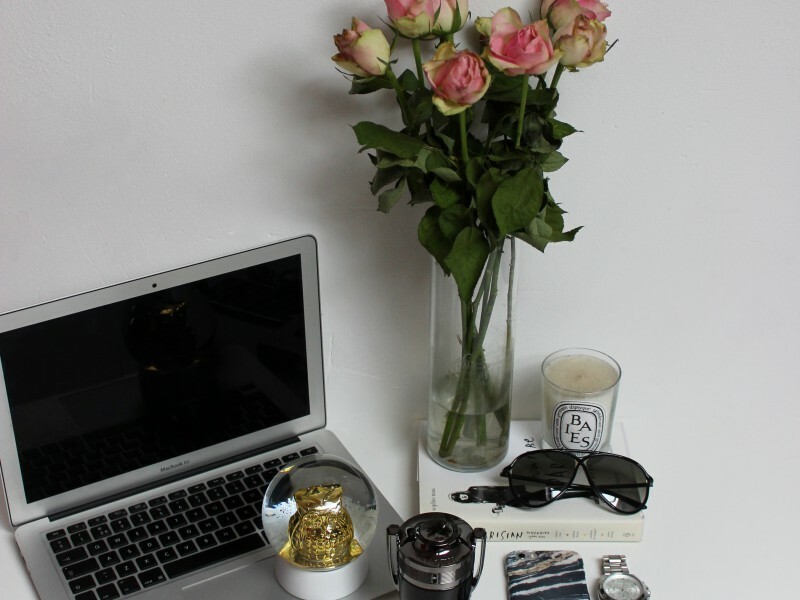 Go Far, Be Strong and Aim High. I’m gonna describe all the three fragrances so read a long! The first one is: United Dreams Be Strong. Quote “Stand your ground and face forward. Never give up, never compromise. Take control and be strong” It is a green bottle and is a woody fragrance. Like the quote says it’s for men who look forward and never give up. The top notes are citrus accords of grapefruit, lime and mandarin. The heart consists of jasmine, ginger, pink pepper and nutmeg it’s a little bit spicy and the base consist cedar, labdanum and incense so think of wood. 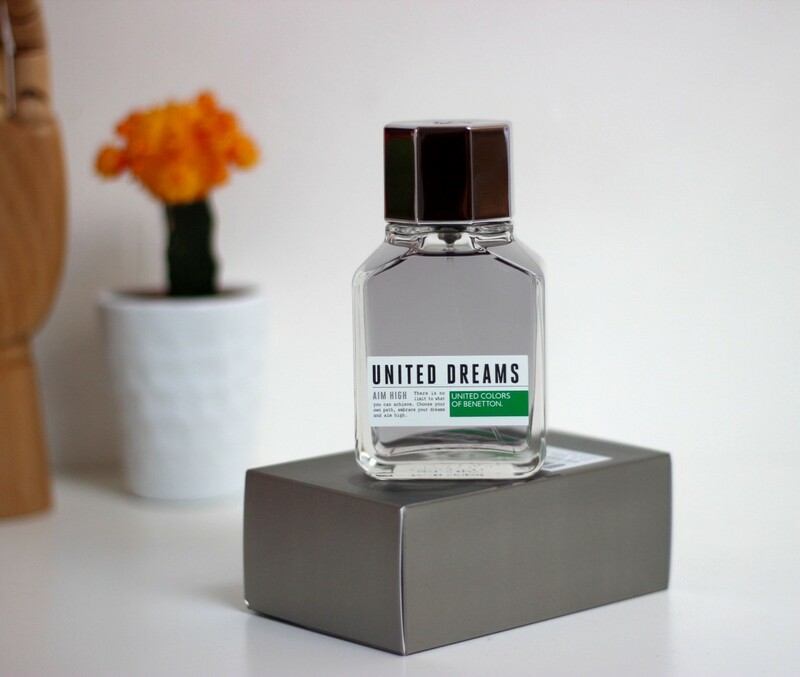 And last but not least cause it’s my fave: United Dreams Aim High. Quote “There is no limit to what you can achieve. 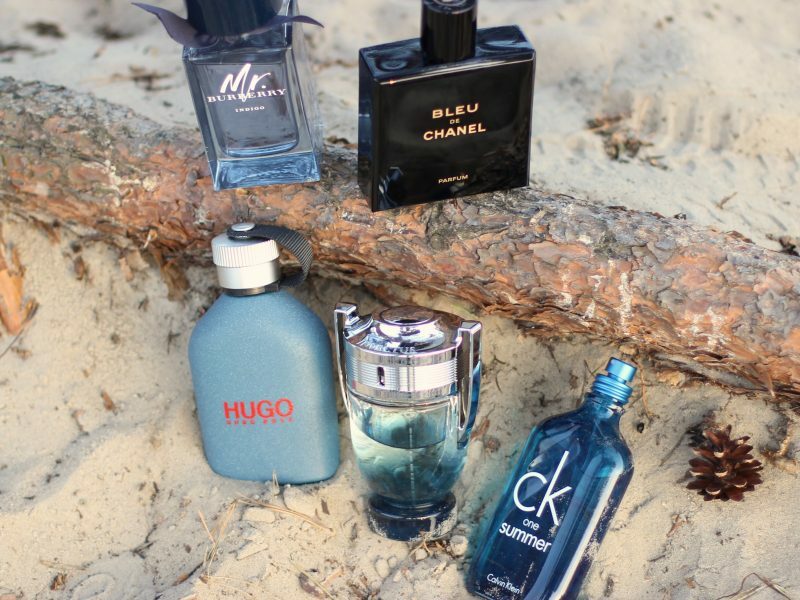 Choose your own path, embrace your dreams and aim high!” It is the grey bottle and you can describe the scent as an aromatic scent of male sensuality, stating there are no goals too high. It opens with bitter orange, grapefruit and lemon. The heart consists of a mixture of mint, nutmeg, geranium and sage and the base consist also a little bit of wood and patchouli, vetiver, moss and amber. It reminds me a little bit of the famous fragrance of Abercrombie and Fitch. Fresh. Which I really like. 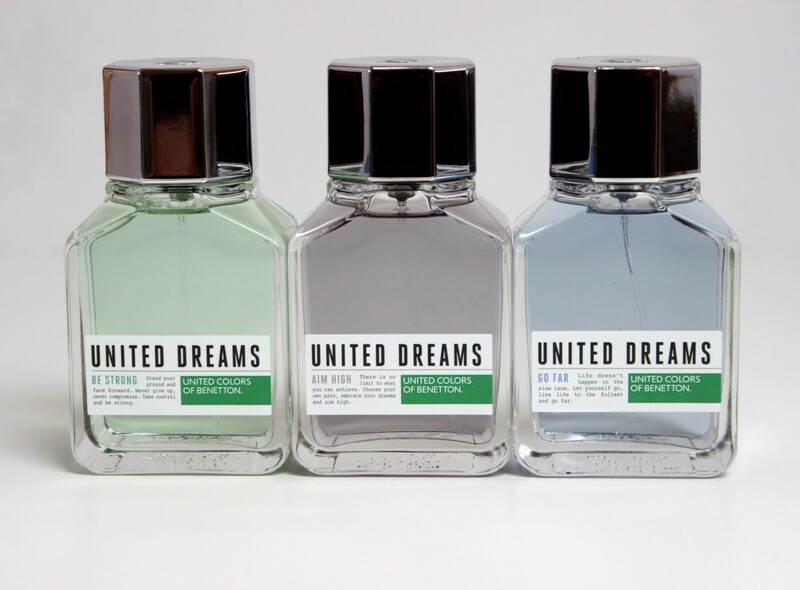 Benetton United Dreams Men Fragrances come in different sizes. In 30, 60 and 100ml. Good to know it’s an Eau de Toilette. So it’s really not expensive and very cool to give it to your boyfriend or friend as a present. My fave is the Grey one. “Aim High”. At the event I had to pick out on of these quotes and and guess what I picked of course the quote of Aim High. So when you are at your local drug store pic your favorite quote and after that smell the scent. Most of the time it is the same. 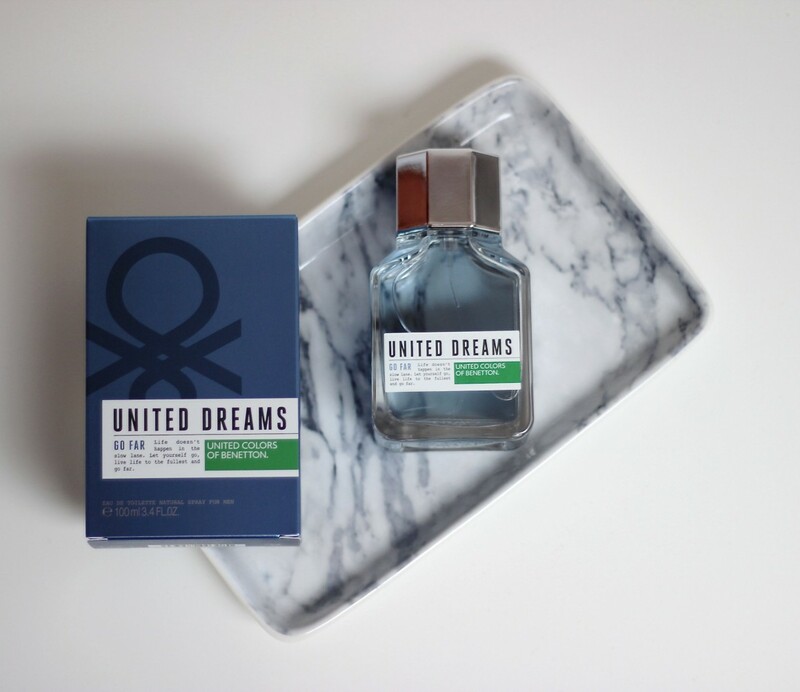 So what do you think of these new United Dreams Benetton Men Fragrances let me know in the comments below and also leave your fave! 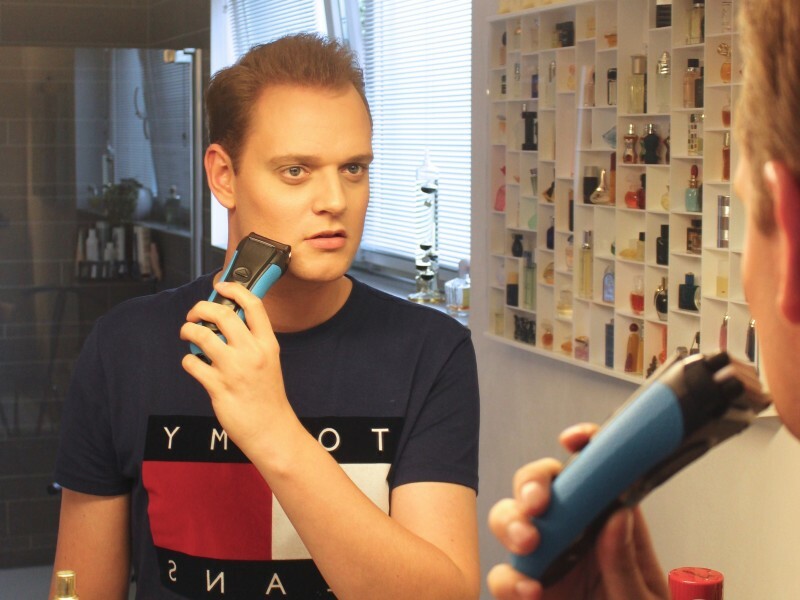 Leuk dat je kunt kiezen tussen 3 geuren! En de prijs valt inderdaad reuze mee!